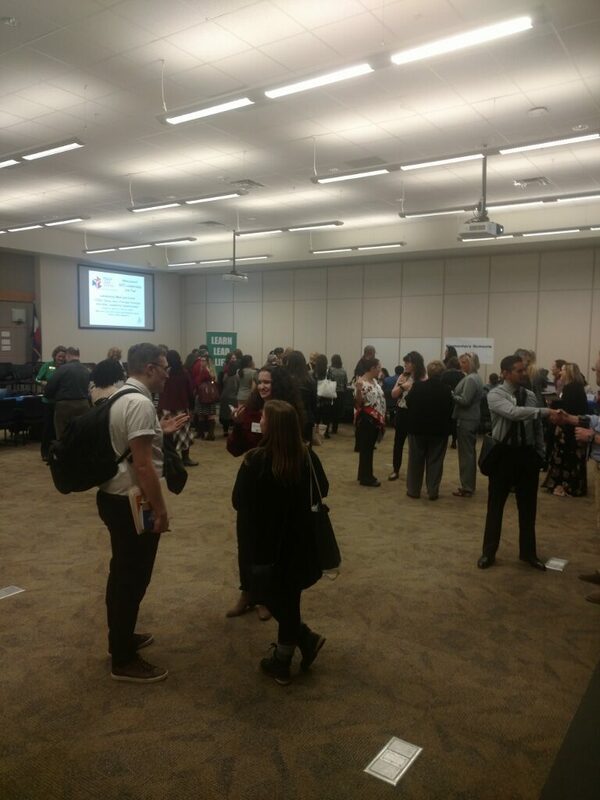 March is the start of teacher job fair season. For all teachers looking for a new position, this is the most nerve racking time for a job search. With a tightening labor market, teachers are still in short supply for districts. Here is a breakdown of the job fair trends that I have noticed from the job fairs I have attended the last few years. At job fairs I see many new teachers spend lots of money on nice resume paper in the hopes that it will stand out among the stack of other nice resume papers. Then there are the broke teachers that make resume copy’s on the schools bulk copy paper. I have never seen an administrator look at a resume and say “WOW, what amazing Sierra sandstone resume paper”! While the nice paper makes you feel more professional (and you are told you have to do it in college), I have never seen HR put an Ule limestone gray resume on top of their thick stack of puce, buff, linen, and salmon resumes. Save your money and print resumes on clean white copy paper. If you get past the first interview, HR will ask you to upload your resume into the school or district hiring system for the computer to filter through, and the computer does not care about your fancy resume paper either. Instead of blowing money on resumes, focus on having a clear readable resume with succinct bullet points about your job experience. Portfolios are another college requirement that does not directly translate into getting hired at a teacher job fair. At every job fair I have seen new teachers lug a thick binder with every assignment they did for their teacher license program. HR will look at 1-2 lesson plans during an interview if you’re lucky. While it is nice to have, HR stopped asking me for my portfolio after my first year of teaching. No district has asked me to upload a digital portfolio or sample of my college work. As schools are moving to more online modules of education, HR is also using the internet to screen through and fail to communicate with teachers. Here are the trends that I’ve seen with district hiring in the last few years. Video screening / digital testing: Charter schools and alternative schools uses these digital screen tool more frequently then traditional schools in my experience. The digital test can include some basic competency questions, questions about your pedagogy, or other social indicator questions. Others use video screening, where you have to use the webcam on your laptop or smart device to answer per-recorded questions. Digital resume: Districts are also using web services to sort and organize their applications. Some states have one state-wide application system (which is great), while other states leave it up to each district (which is time consuming for teachers). Some systems will let you connect to your LinkedIn profile, but most will require that you upload your resume directly. After you upload it, you’ll then spend some quality time fixing the data that was misplaced in the district system. Video lesson: A new trend is videos of your classroom teaching. I’ve had a few schools ask for a video. This is a new requirement that is coming onto the education scene. If you are teaching now, ask your administrator for permission to film a few lessons, and work out the parent permission and releases needed to film in class. Along with video screening, classroom videos may be a growing trend for educators in the future. 1-1 Integration: More schools are getting Chromebooks or iPads for each student. You may have questions pop up about how you would use them, or how you can support students responsible use of these devices. Coding: Schools are desperate for teachers that can teach coding or use platforms like code.orgs or scratch.mit.edu to teach even basic coding. Having coding experience makes a solid impression above other tech qualifications. At teacher job fairs, many administrators and HR directors have a prepared list of lawyer approved questions. Most of the time HR will go through a chunk of that list before your interview time runs out. Here are some of the questions that I have been asked. While many questions are positive, they may ask discordant negative questions to see how you react to negative events. What is a time you failed, and what did you learn from it? What do you have to offer to the school? How would you manage your classroom on the first day of school? If I walked into a normal class, what would I see? How would you differentiate learning for ELL, GT, SPED, and new students? 75% of our students are on free and reduced lunch, how would you make sure your class is equatable for them? What is one activity that went well for you, and why? How would you measure student productivity / engagement? A students we’ll call “Pork chop” does not have a stable home life. When he does comes to class every few day, the teachers become his emotional punching bags. How do you manage Pork Chop along with a normal class of 30 students? How do you communicate to parents? How do you use homework? Have you done any grant or fundraising work for your class? What is a lesson that failed, and why? How have you differentiated a lesson plan? How do you use data driven assessments? Can you Procter a state test / ACT / SAT? Any questions for the district? Can you speak any languages, or are you ELL/ESL qualified?